Relationship astrology and attraction See what attracts and what pushes away. Relationship Astrology, What is the Attraction? Relationship astrology is a subject matter that is of particular interest to people who consult horoscopes for information. Using astrology can be a great help when getting to know someone. You can get a head start on what to do and not do in order to ignite the flames of attraction. Irrespective of your relationship status, astrology will prove helpful. Astrology can assist you in bettering your understanding of your mate, which leads to better communication, which sparks more attraction. If you're looking at a particular someone as a "likely lover", zodiac attraction information may assist you in deciding whether you and that person are simpatico. If you are trying to choose between several contenders, relationship astrology for love and attraction could help you by giving you a look at what type of person you will attract, and what kind of person would be best at attracting you. I know that to many people, it may sound peculiar or inconceivable that you could be born under universal birth signs that point towards particular traits. However, if you look at what your character traits are under a zodiac sign, you may just be shocked at how accurate the information is. 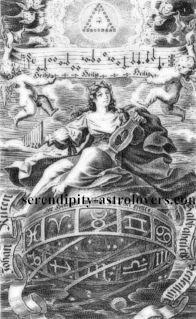 Additionally, when the astrology facts are in front of you, it may give you a boost in seeing what you could try to change or keep in check, when it comes to your "not so great" features. As well as reminding you of what you should accentuate and be proud of, when it comes to your "great" characteristics. When certain astrology facts about different birth signs come into view for you, Astrology can be convenient. Not only will you learn the personality of your own sign, but by observing the traits of those whom you want to interact with in your love life, you gain a better appreciation of the kinetics involved. When it comes to the zodiac signs, Astrology can help you take into account the strength of your astrology matches. Astrology will also help you avert a potential clash of personalities, thereby creating better relationships, better communication and more attraction. So lets get to it, find the astrology sign of your lover, husband, wife, boyfriend, girlfriend, potential lover, to read up on attraction "do's or don'ts" when it comes to your relationship.